The Reliabilt 300 is a white vinyl patio sliding door that uses a clear glass, a 3.25" jamb width, insulated tempered glass panels, welded sash corners and frame, and a key lock assembly. In general, this is a low cost sliding door that is not a bad buy for the money. The Reliabilt 300 series is nearly half the cost of the comparable Jeld Wen model, making it an excellent value and option for consumers on a budget. Consumers can expect to pay $10 to $15 per square foot for the patio door itself. 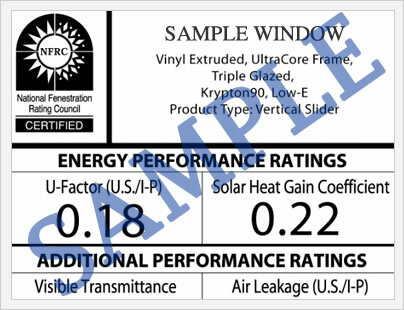 Comparable sliding patio doors includes the Jeld Wen 72" sliding white vinyl patio door - although the Relaibilt 300 will be roughly half the cost of the Jeld Wen patio door. The Reliabilt 300 patio door is Energy Star qualified in all four zones - Northern, North/Central, South/Central, and Southern. Beyond this, we do not have any additional patio door ratings on the Reliabilt 300. 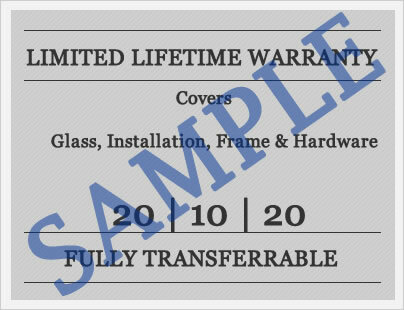 Reliabilt 300 comes with a Limited lifetime warranty on the vinyl sash and frame. The warranty is transferrable one time only, although the new owner will be covered for only 10 years from the date of purchase. Do you have Reliabilt 300 patio door reviews? Please share them with other consumers and homeowners who may be considering this product for their renovation and remodeling projects. For questions on the 300 Series, please send them to us and our website editors will be more than happy to provide you with the answers you need. Include an email address if you'd like us to get back with you directly. Our 300 Series Reliabilt sliding patio door had a issue that the sliding section did not square up so that it will close property. our handyman did what he could to adjust the door but it looks like the center of the frame is down a little. I saw a reply on line that a fringe screw in the center top of the door might help. Does this seem like a sensible thing to do? Thanks. Connie, I don't have any specific information on the center screw fix, but I think you would be hard pressed to solve this issue via a warranty claim. If it were me, I would have the handyman come back and see if he can't get the frame down any way he can. Start with the center screw and then work from there. That's going to be your best and cheapest bet.